The 49th edition of the annual MEDICA trade fair, whichwas held from 12-15 November in Düsseldorf (Germany), welcomed 5,100 exhibitors from 70 different countries. 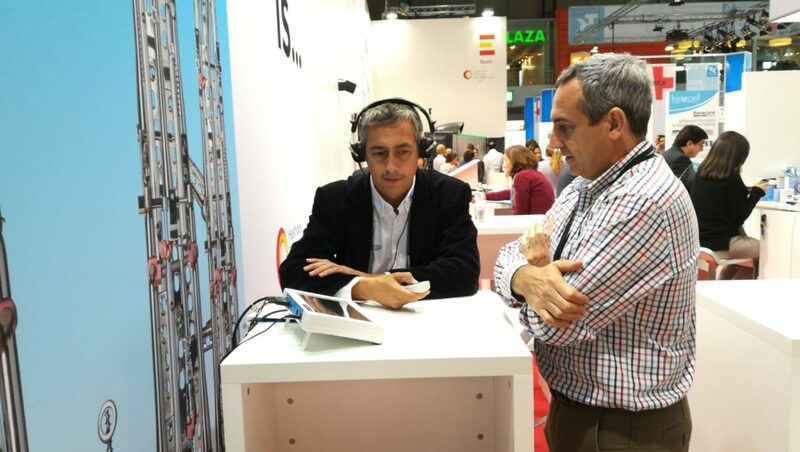 For the twentieth year running, FENIN, the Spanish Federation of Healthcare Technology Companies, coordinated the participation of 56 companies in this international trade fair. With a floorspace of 1,100 m², the pavilion housing the stands of the Spanish delegation was occupied by companies representing different medical sectors such as equipment for laboratories and in vitro diagnostics, physiotherapy, orthopaedics and electromedicine devices, in addition to consumer goods. 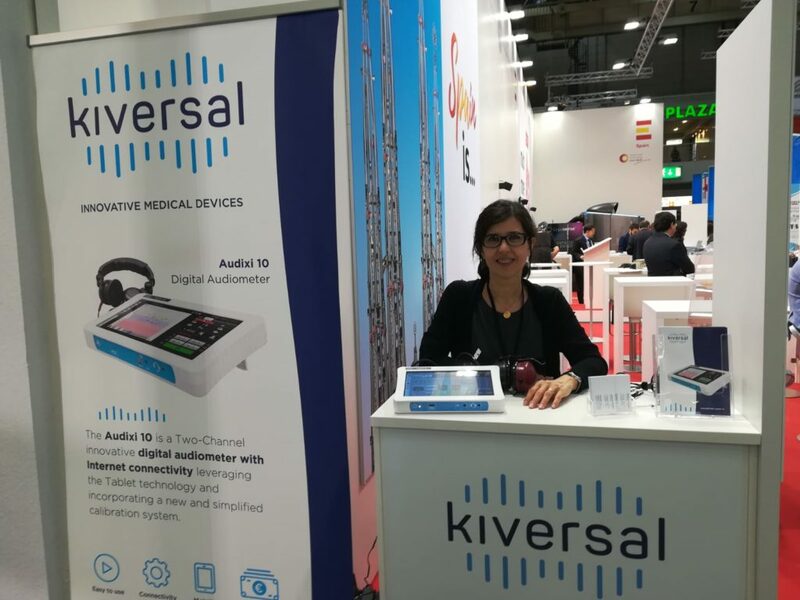 Kiversal was part of this Spanish delegation and had a stand in the pavilion, at which the company founders, Piedad Díez (CFO) and José María Plana (CEO) were on hand to inform the specialist audience about the features and benefits offered by Audixi 10 to patients and professionals. At the fair, visitors had the opportunity to test the Audixi 10 audiometer and gain exclusive insight into the features our medical device offers before its official market launch. 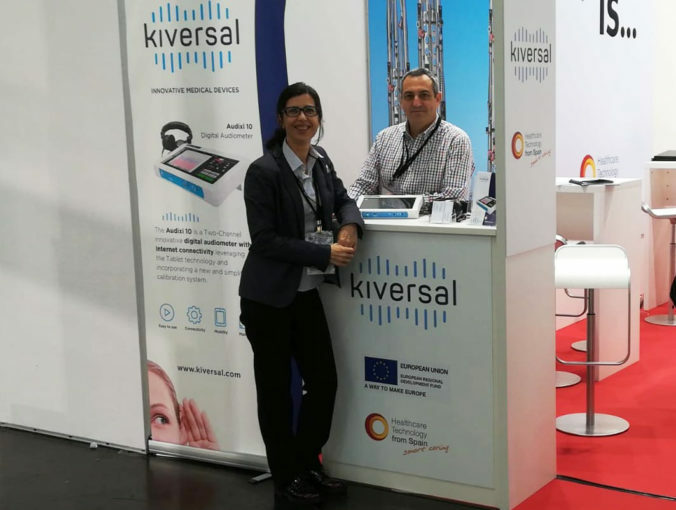 Over the four days of the fair, the Kiversal team observed that distributors and medical professionals are seeking a more portable device that is capable of easily integrating data into IT systems and incorporates a simple calibration system for more effective maintenance management. Moreover, as a prestigious meeting point for professionals and companies that centres on networking, MEDICA allowed new contacts to be made and opened the doors to future partnerships.